While looking at the picture, if you spot the girl first then you are the type of person who puts the thoughts and feelings of others before your own. Your emotional intelligence is really sharp and you are more capable of empathizing with others. You know about your sharp emotional intelligence and you don’t mind relying on it whenever you are in an emotionally tough spot. However, if you continue to put others needs and wants ahead of you and don’t really care about what you need, it could turn out to be an exhausting affair for you. You will lose out on yourself and this could be quite frustrating. After all, we need ourselves too, sometimes. You really have to be careful when you are depleting your energy for someone else – keep a check on your emotions and make sure you don’t invest more than necessary. The more you bring your emotional skills on the field, into action, the more you will feel tired by all of it. But you are emotionally valuable – don’t let the exhaustion get to you. 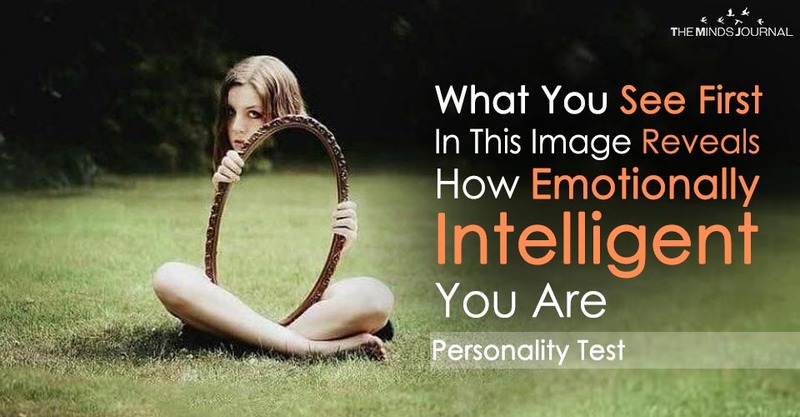 If the mirror came to your sight the first time you looked at the picture, then you should pat you back – you score tremendous marks on emotional intelligence. You have high emotional intelligence and that’s such a great trait to have. However, the mirror represents something that is not quite good – at least in the real world. The mirror reflects your own image as you look at it. That means you might be reflecting the emotions of others more than you should. What does that imply? It means that you might be making everything about yourself. If someone is sad, you will start searching within yourself to find out how YOU might be the reason for their sadness. If someone is furious, you might try to rationalize in some weird way and try to find out how you had made them angry. But you are not even a part of it – the great thing about you is your ability to read emotions but that is clearly backfiring. Take a step back and stop making everything about you. Yes, you have a great ability to read emotions – but it’s not that easy to track emotions back to its actual source. It’s rarely successful, so don’t try to do it. You’ll wind up making yourself a part of it. So what kind of emotional intellect do you carry? 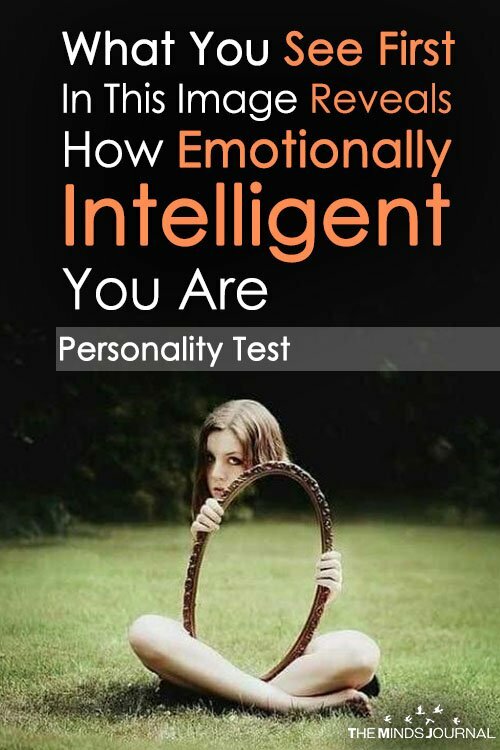 Irrespective of how well you do in this test, try to be more connected with your emotions and with the emotions of other people. It’s worth it and helps to build stronger relationships. And in this world, we need more people who are emotionally intelligent to bring more peace into it. We would all love to have that someday! Who Broke The Vase? Your Choice Can Say A Lot About Your Personality. Find Out!